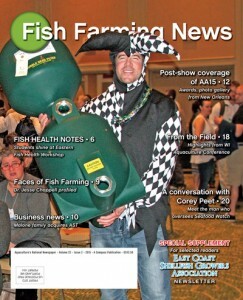 NEW ORLEANS, LA – The snowplows and front-end loaders had barely swept away the debris of Mardi Gras and Fat Tuesday when Aquaculture America 2015 (AA15) rolled into town this past Feb. 19. But anyone who thought the party was over was in for a big surprise. AA15 brought its own kind of magic to the Big Easy, with a terrific turnout that kept the meeting rooms and trade show floor busy and buzzing, an outstanding program of presentations and workshops, and an electricity in the air that seemed to signal better times for the domestic industry.